Photograph courtesy of Jennifer Lett at Tribune News Service. It was Oct. 27, and I was at the Jewish National Conference for college students from different areas around the country. The conference was held in Phoenix, but everyone was from different states. I happened to check the news on my phone and saw “11 People Killed in Pittsburgh synagogue shooting” covered in five or six different articles. I didn’t know what to think. This shooting could have been in any synagogue, in any state or any country. When I came back to Drexel that following Monday, I saw that there was a memorial service for the 11 Pittsburgh victims that evening at the Raymond G. Perelman Center for Jewish Life. I decided to attend the memorial service, and I was shocked to see so many people in attendance. At the memorial service, there were guest speakers who came from different religious backgrounds which was refreshing to see. It was a difficult time for the Jewish community, and various religious organizations took time out of their day to send their condolences for the Jewish people on campus. It was a tragedy for the Jewish community, but unfortunately, the mass shooting was not a surprise for many people, especially me. It is sad that there have been so many mass shootings in the past few years, but our duty as people is to be there for each other in these hard times. When there is a specific group targeted in a mass shooting, whether it’s a religious minority or any group in the community, they shouldn’t feel alone in these tragic events. 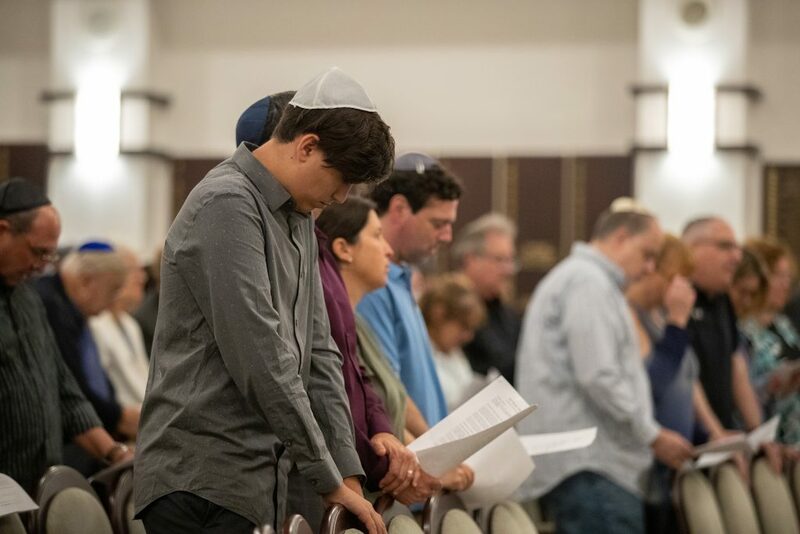 As seen at the memorial service, many religious organizations were able to speak about how even though Judaism, Christianity, Islam and others are different religions, everyone can set aside those differences to remember the lives lost in Pittsburgh. I didn’t know how to feel when I came home from Arizona. When I heard that the Perelman Center for Jewish Life was hosting a memorial, I was grateful that they were commemorating the victims here on Drexel’s campus. One of the pastors on Drexel’s campus and the president of a Christian fraternity spoke during the memorial service, and their words emphasized the idea of all the religious communities coming together on campus. It is rewarding to know that I attend a school in which all the religious organizations support each other in tough times, because it unifies the community.